It’s off to the doctor’s office for little Hazel. While playing in her room, Hazel fell after trying to reach something on a shelf, and hurt her arm. Go with Hazel and her mother to the doctor’s office. Help soothe her fears as the doctor examines her arm and then gives her a shot for the pain. Assist the doctor in wrapping Hazel’s arm in plaster and give her, her medicine. Stay with Hazel as her mother takes her home. Activities will be difficult with one arm, so it will be good that you stayed to help. Finally, venture back to the doctor’s to have the cast removed. 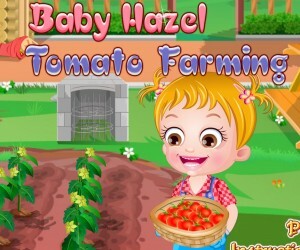 Make sure Baby Hazel behaves because there may be a yummy reward before she goes home. 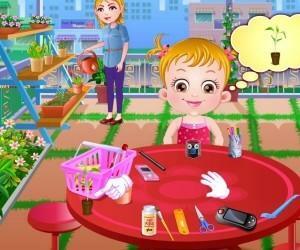 Level 1: Little Hazel is playing in her room. Help Hazel retrieve the toys she wants. Hazel is impatient though and see’s something she wants on a higher shelf. After trying to reach it from her dresser, she looses her balance and falls, hurting her arm. Keep Hazel company on her way to the doctor’s office and on to level 2. 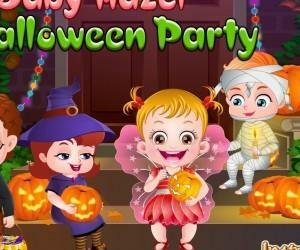 Level 2: The doctor’s office holds many scary things for Hazel. Be with her to help her stop crying. Soothe her fears as the doctor x-rays the arm and gives her a shot for the pain. Alas her poor elbow is broken. Assist the doctor in wrapping Hazel’s arm in the plaster and giving her, her medicine. Level 3: Remember the care instructions for the cast when you help Baby Hazel in her activities getting ready for bed. Getting bathed, undressed even eating is a hard task when you only have one arm to work with. Sit with her as she tries to get comfortable and sleep. A good night story always helps. Level 4: Finally, it is time to go back to the doctors office to have the cast removed. Help distract Hazel from being scared when the doctor cuts the cast off. Pew… her arm stinks. Help to wash her arm and dry it off. If you can help Hazel behave, there is a yummy reward before she goes home. This game shows the player that you shouldn’t fear the doctor. Certain things are necessary in order to help make Hazel feel better. The player will learn what to expect, how to care for and how to help when someone is hurt and can’t do for themselves. Poor darling Baby Hazel slipped from table and fell down to the floor. Her Mom rushed her to the doctor and she was diagnosed with a broken bone that requires hand fracture. Convince Baby Hazel to get plaster on her hand and help her with her daily activities as she now can’t move her fractured hand.